Driving daily sales each and every day is a reality for retailers, and sales events are critical to the success of the business. KingSize needed a postcard to support an in-store event. We developed a postcard that delivered a message with clarity and impact. Retail marketing is a specialized practice – part science and part art. 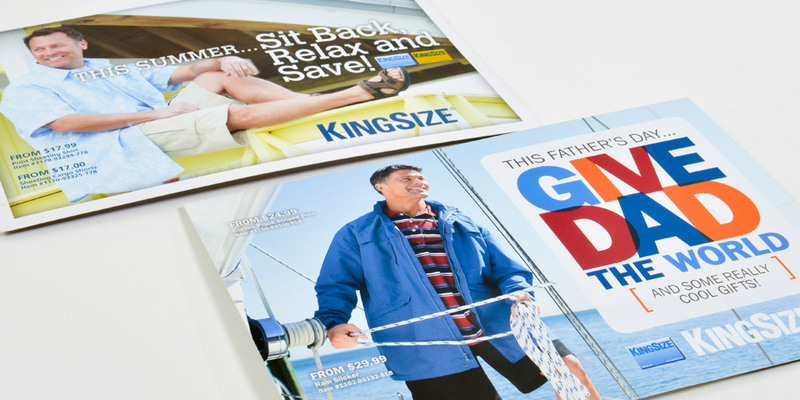 We understand the nuances of size, placement and messaging. Looking for a graphic design firm that can execute retail marketing programs? Give us a call.